Tertiary alcohol can be converted to tertiary alkyl iodide with hydroiodic acid (HI). 1. An acid/base reaction. 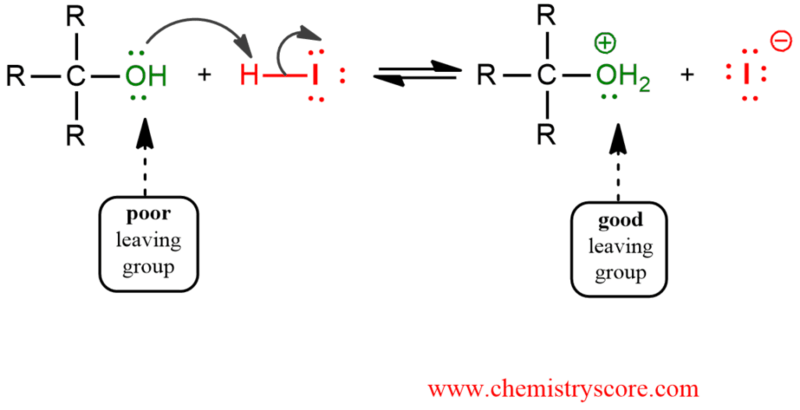 Protonated oxygen from the hydroxyl group of alcohol makes a better leaving group. 2. The rate-determining step. Loss of the leaving group and carbocation formation.